Ashley J. Tellis (PhD, University of Chicago) is a Counselor at the National Bureau of Asian Research (NBR). 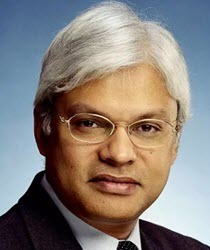 He holds the Tata Chair for Strategic Affairs and is a Senior Fellow at the Carnegie Endowment for International Peace. He has also served as Research Director of the Strategic Asia Program at NBR and co-editor of the program’s annual volume since 2004. While on assignment to the U.S. Department of State as Senior Adviser to the Undersecretary of State for Political Affairs (2005–8), Dr. Tellis was intimately involved in negotiating the civil nuclear agreement with India. Previously, he was commissioned into the Foreign Service and served as Senior Adviser to the Ambassador at the U.S. embassy in New Delhi. He also served on the National Security Council staff as Special Assistant to the President and Senior Director for Strategic Planning and Southwest Asia. Prior to his government service, Dr. Tellis was a Senior Policy Analyst at the RAND Corporation and Professor of Policy Analysis at the RAND Graduate School. He is the author of India’s Emerging Nuclear Posture (2001) and co-author of Interpreting China’s Grand Strategy: Past, Present, and Future (2000). His academic publications have also appeared in many edited volumes and journals.